A 2 bedroom, 2 bath, ground floor, fully furnished condo, completely remodeled and in immaculate condition and ready to move right in. Great for vacation rental, 2nd home, or first time home buyer. Close to Ski area base (less than 1 mile), with convenient bus stop right out front. Both baths have tile flooring and tile surround tub. Stackable washer & dryer. Wood fireplace with beautiful stacked rock hearth. Great ski mountain views from back porch and dining room. 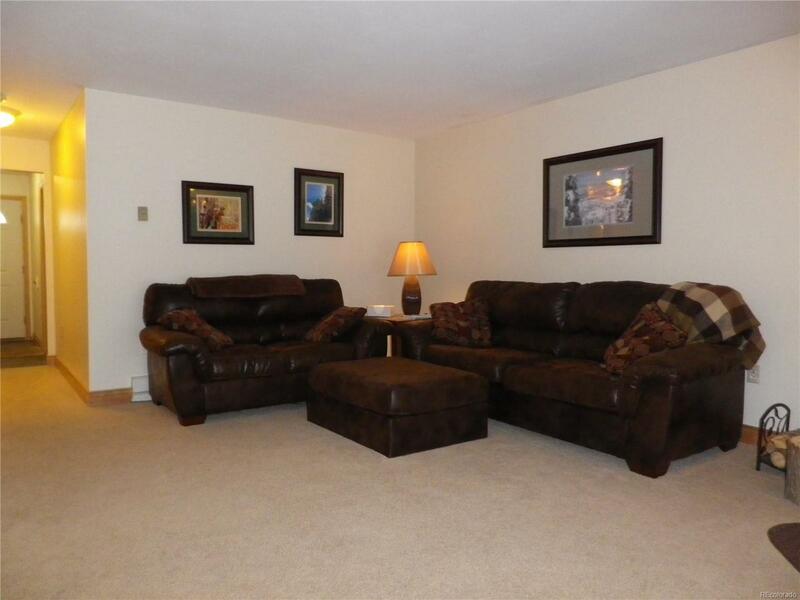 Comes with an owner's storage room, in basement of building - large enough for all your toys (skis, bikes, tools, etc.) 2 parking spots assigned. Has an outdoor hot tub and pool in complex. Low HOA Dues.